Anyone that’s driven on the road has noticed one of those large trucks that that has cars on it. This is the primary method that most vehicle transport companies will utilize when shipping a car from one location to the next. This is easy to do and allows for us to securely take more than one car to its new destination without having to drive each one individually. While this is the most common method, we also offer enclosed shipping options that secure your car from any of the natural encounters that could happen, such as snow, dirt, etc. When people think about shipping a vehicle, these are the most likely methods to pop up in their head, but one that most people don’t understand the process of is overseas shipping. 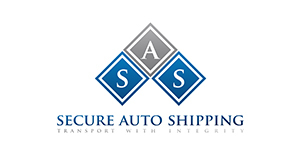 The team at Secure Auto Shipping is happy to provide our overseas vehicle shipping service! We understand that moving your car, motorcycle or boat to either Hawaii or Alaska is a must, and we love being able to make that happen for you. We’re going to break down the process of shipping your vehicle overseas. Once you’ve submitted the paperwork and set a date, the first thing you’ll want to do is look at the value of insurance that we provide you and decide if you’re comfortable with it or want to purchase additional insurance. This is more of a preference than a required step. The next step is preparing your car for the transport. This will include getting your tires balanced and rotated as well as making sure that any necessary maintenance is completed. This is also a great time to clean your car out, because you won’t want to transport your vehicle with any items in it. Also, make sure that you have at least a quarter of gas for the transport so that there’s gas to get your car loaded and unloaded. Then inspect any damage that is on your car so that you are aware of any new damages, if they happen. We then transport your vehicle on a truck to a loading dock. This usually happens with other cars as well, as stated before, this gets more cars that need to be shipped all in one round. Once the cars are at the dock they are loaded on a ship that locks them into place and safely transports them overseas. Secure Auto Shipping has a lot of experience with oversea shipping, so you can trust your vehicle, whatever it may be, with us. Our team works hard to deliver quick and securely. Contact our office today for a quote to ship your car! We’ll get it wherever your next destination is as quick as possible.